At the top of the agenda on Monday, the City Council discussed a resolution (Resolution 31611) on the SR-520 highway rebuild from Montlake to the I-5 interchange. The project is a massive undertaking by the Washington State Department of Transportation (WSDOT) to add lanes to SR-520, provide direct access for transit, build a potential second bascule bridge across the Montlake Cut, lay down new trails, and lid portions of the highway. The City’s resolution is more than just a policy statement, it’s a negotiation tool to get WSDOT to build better walking, biking, and transit facilities for the people who may never drive on the highway. In committee, Councilmember Mike O’Brien had proposed additional language that would beef up safety and utility of facilities for bicyclists. His amendment plainly stated that the SR-520 project must accommodate protected bike lanes from the Montlake Bridge to East Roanoke Street on Montlake Boulevard. This language left some in committee concerned that it might be premature and overly prescriptive. At the behest of Councilmember Tom Rasmussen, O’Brien tabled the amendment pending feedback from the Seattle Bicycle Advisory Board (SBAB). Within a week of the committee meeting, the SBAB responded with a letter of support for O’Brien’s amendment going as far to say that protected bike lanes are “imperative” on the street. Both the amendment and resolution passed on a 9-0 vote. Generating a lot of public comment earlier in the Council meeting, the following order of Council business centered on acquisition of property in the Roosevelt neighborhood for a public park. Earlier in the year, the City of Seattle won a $3.3 million judgement against long-time Roosevelt slumlord Hugh Sisley. The judgement was the result of many years of unpaid fines for code violation. To settle the issue, City Attorney Pete Holmes said that the City would seize at least one property for a public park. 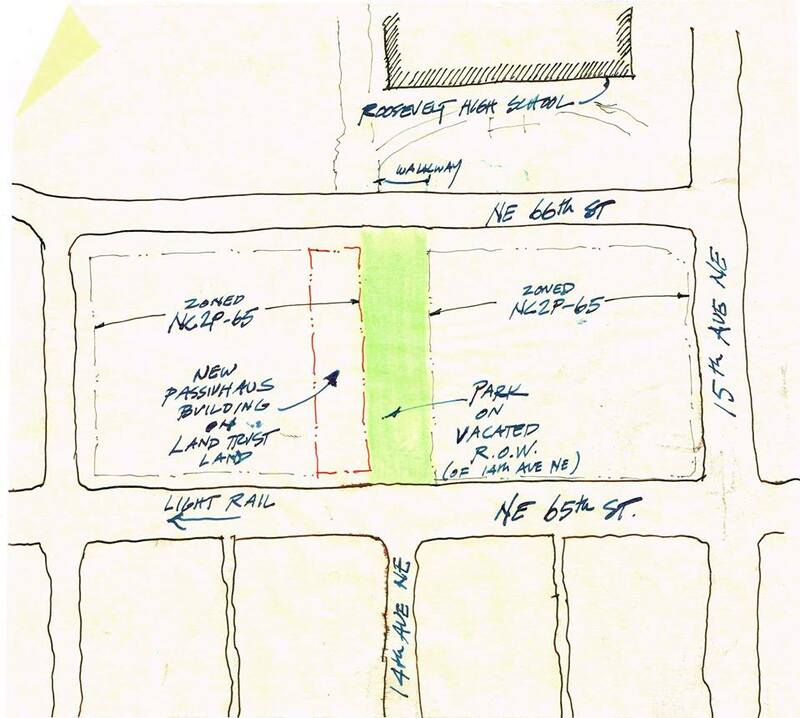 That property happens to be a corner lot between NE 65th St and NE 66th St (1322 NE 65th St). City right-of-way on 14th Ave NE between NE 65th St and NE 66th St should be vacated for a multi-use public open space. I will admit though that it’s very difficult to make a choice between affordable housing and park space. 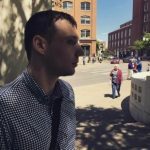 We need both and we shouldn’t in general have to pit one against the other…which is why I think overall that our approach should be to push for comprehensive policy on affordable housing citywide and also to make sure that we have going forward progressive revenue sources to expand park space as well. Some of the people who were talking about housing being built, they were saying that a new light rail station was about to go up a block away and affordable housing is really good when it’s closest to transit. I have heard that 50 units of affordable housing using Passivehaus technology would have been built upon the property….I want to make sure that we include those points for the record so that going forward…we take those points into account and make sure that we are making the best choices. Wrapping up the agenda, the City Council voted on a measure to close a loophole in the tenant relocation assistance program. Under the current program, families that make 50% or less of the area median income are eligible for monetary assistance if a property owner serves notice 90 days in advance of the building undergoing major renovation ($6,000 or more in rehabilitation work for the vacated unit) or demolition. Families can qualify for up to $3,225 in relocation assistance paid 50-50 by the landlord and City. The landlord applies for permit within 6 month to conduct a major renovation to the unit. If all three of these occur, there will be a presumption that the landlord intentionally avoided payment of relocation assistance. As a result, the City will withhold building permit issuance until the landlord pays all outstanding penalties for violating the tenant relocation assistance program. Those fines don’t come cheap. Landlords who skirt around the rules could face a $1,000 per day fine for each day they are in violation of the code. Additionally, the ordinance allows tenants to file a complaint against a landlord if they experienced an increase in rent by 10% or more (either incrementally or in one increase) within 12 months so as to avoid payment of relocation assistance. This all comes on the heels of shocking revelations in South Seattle where tenants of one apartment building are living in deplorable conditions. Sawant and Licata visited the building last week to meet residents and tour their units. What they found were bug and rodent infestations, nonfunctional heating systems, missing life safety alarms, and broken fixtures. The absentee landlord, Carl Haglund, had planned to double rents of tenants ahead of building improvements. But bowing to extraordinary public outcry, Haglund has partially backtracked. He promises to offer a month of free rent to current tenants and keep rents the same until the units pass health and safety inspections. So a landlord isn’t allowed to increase rent if they intend to improve the place. Isn’t that rent control? It sure feels like our council members just broke this law. The thought had crossed my mind. I suppose we’ll find out if this, for lack of a better way of framing it, backdoor approach constitutes that or not. I don’t know the legal history of this. So I’m not sure it has been challenged. The law already set 20% as the maximum if you look at the ordinance. But it’s the permitting and SMC 22.210.136 additions that are the major changes. Personally, I’m not inclined to agree with your characterisation of the law. I think this is a good policy and programme. of course roosevelt residents are going to pick a park over low income residents. they have zero incentive to do otherwise. That’s one of my most favourite U District projects right now! The final design solution is excellent for such a small site and it will be a great space for youth in need of housing. It’s definitely a great model for other places.